Larry Gene Dixon, 66, of Gladstone passed away Monday, Feb. 11, 2019 at the home of John “Bubby” and Lou Dixon. Born September 19, 1952 in Lynchburg, Larry was the son of the late Beatrice Banton Dixon and Harry Madison Dixon. He was often referred to as The Mayor of Gladstone because he knew and loved everyone. He was an avid fan of all sports, especially Pittsburgh Steelers Football and he loved CB Radio. 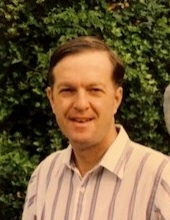 In addition to his parents Larry was preceded in death by his special family members John Madison “Bubby” Dixon, II and Madalyn Louise “Lou” Parrish Dixon. He is survived by his brother, Kent Madison Dixon (Marie) of Colorado Springs, CO and numerous Cousins and supportive family. The family will receive friends from 6:00 until 8:00 pm, Wednesday, Feb. 13, 2019 at Driskill Funeral Chapel. Funeral services will be held at 11:00 am, Saturday, Feb. 16, 2019 at Driskill Funeral Chapel. Interment will follow in Amherst Cemetery. To send flowers or a remembrance gift to the family of Larry Gene Dixon, please visit our Tribute Store. "Email Address" would like to share the life celebration of Larry Gene Dixon. Click on the "link" to go to share a favorite memory or leave a condolence message for the family.